Chrysanthemums have many meanings and associations in Japan, including long life and prosperity. This robe is punctuated by full-faced chrysanthemums embroidered and accented with glistening gold threads, which are stylized to appear almost crestlike. The fabric of the robe is enlivened with a monochromatic key-fret pattern produced by a compound satin weave. 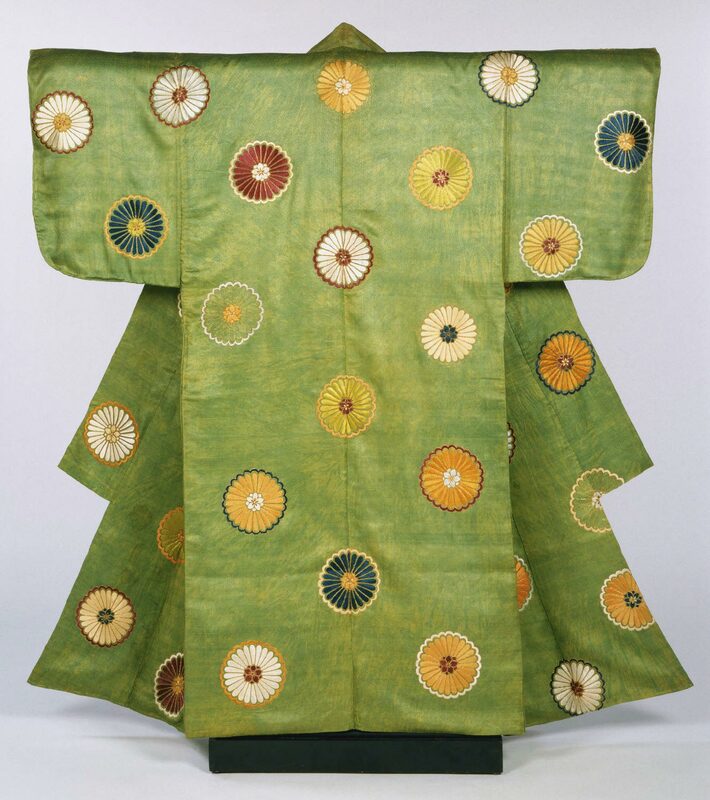 This lustrous, soft, figured satin suited the relaxed silhouette of fashionable kosode (small-sleeved kimonos) during the Edo period, and was used occasionally for Noh costumes.